Below is a list of resources (recommended by fellow survivors) to help whether you are still in your toxic relationship, planning your escape, or on your healing journey. SpunkyDiva Diaries hopes to provide as much info as possible in "one place" on the topic of narcissistic abuse & other forms of domestic violence. It is possible to leave & start life over, but education, resources & a good support network are key! 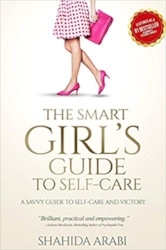 This book serves as a "one-stop shop" for survivors and is packed with so much wisdom and therapeutically proven tools for daily application, that it leaves the reader healthier when they finish reading it. Make no mistake: recovery from an abusive relationship can be very similar to withdrawal from drug addiction due to the biochemical bonds we may develop with our toxic ex-partners. This is a short essay regarding the biochemical bonds victims of narcissistic abuse develop with their abusers. 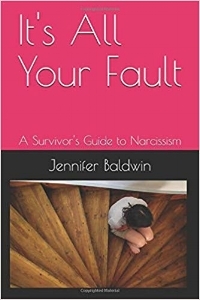 A miniature guide that explores all you need to know about narcissistic abuse, the frequently asked questions about narcissism and essential tips for self-care in the aftermath. 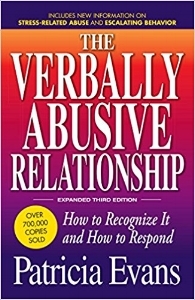 For those struggling from the trauma of emotionally abusive relationships, this book will guide you in recognizing the signs of abuse, creating a reverse discourse that challenges ruminations over the abuse, moving forward successfully after a break-up using no contact, and coping with trauma in constructive and meaningful ways. POWER teaches us that it is important to not only understand the tactics of toxic personalities but also to recognize and combat the effects of narcissistic abuse; it guides the survivor to learning, growing, healing and most importantly of all—owning their agency to rebuild their lives and transform their powerlessness into victory. In this guide to breaking free from a narcissistic partner, you’ll learn to recognize narcissistic behavior patterns and how they impact relationship dynamics. You’ll learn how to spot those clever narcissistic manipulations and the phases of the narcissistic relationship. Psychopath Free is the first guide for survivors written by a survivor, offering hope for healing and thriving after psychopathic abuse. Say goodbye to the chaos, self-doubt, and victimization. Have you ever thought of divorcing your husband but struggle with your church's stand against divorce? Christian counselors recommend this book about difficult narcissistic husbands and how they affect you, your family, your church, and your social life. The first book EVER written about the women who have loved psychopathic men! What are your temperament traits that have contributed to being attracted to, and tolerant of, the most dangerous of people? People who are evil attack others instead of facing their own failures. 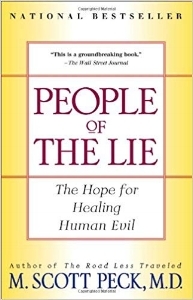 Peck demonstrates the havoc these people of the lie work in the lives of those around them. He presents, from vivid incidents encountered in his psychiatric practice, examples of evil in everyday life. Lundy Bancroft—a counselor who specializes in working with abusive men—uses his knowledge about how abusers think to help women recognize when they are being controlled or devalued, and to find ways to get free of an abusive relationship. Even if you’ve read Why Does He Do That?, this collection of meditations is a source of strength and reassurance designed to speak to women like you, women in relationships with angry and controlling men. Learn why verbal abuse is more widespread than ever, and how you can deal with it. You'll get more of the answers you need to recognize abuse when it happens, respond to abusers safely and appropriately, and most important, lead a happier, healthier life. How can another human being psychologically terrorize you in the manner that the Narcissist you were with did to you? You loved this person & they SAID they loved you back. How did this all change? Why did this person that you loved unconditionally now seems to hate you & blame you? When our partner has a narcissistic personality, the relationship is so crazy that only those who've "been there, survived that" will ever understand the madness. This tell-all narrative skips the clinical B.S. to focus solely on the personal experience. It will provide confirmation & validation that YOU are not the problem. An informed guide to help you understand, handle & deal with extreme narcissists. 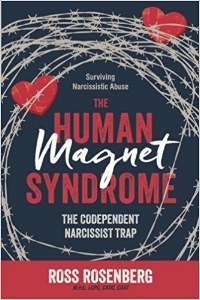 Whether the narcissistic person in your life is your partner, a narcissistic family member, narcissistic boss or friend, this book will help you to understand what you need to do to regain control of your boundaries, and guide the relationship in whichever direction is best for yourself and others. Adopting a no-contact strategy is the only surefire method for ending the cycles of abuse with narcissists and other emotional manipulators. Going no contact is the only way to do this & Ballard's book about narcissism in relationships is the go-to break-up survival guide that shows you exactly how to get it done. You walk on eggshells. You doubt your own memory. You never seem to do anything right to please your partner. It may not be you; you may be in a relationship with a narcissist. This book will help you learn what a narcissist is, learn what tools & tricks they use to control you & how others see you. You'll learn what to do once you get out of the relationship & steps you can take to help you heal. This book was written to help anyone in & healing from an abusive relationship. This book answers the top 75 questions asked about narcissists and is a must-read for anyone wanting to figure out narcissists, this book empowers its readers by revealing exactly what all narcissists are up to and why, and what the reader can do about it. If you were involved in a pathological relationship - or you want to prevent it from happening in the first place - this book is for you! Identifying & setting clear boundaries is vital for survivors and for anyone who wants to become more confident, improve relationships, and prevent victimization. AUTHOR: sandra l. brown, m.a. Learn about eight types of Dangerous Men, how to develop a Defense Strategy, and how to spot, avoid, or get rid of one. Brown also explains women's innate "red flag" systems -- how they work to signal impending danger, and why many women learn to ignore them. Psychopaths aren't capable of love. Find out what happens when they target someone who is, in this insightful and practical book by a woman who was a victim. From the 2nd collection of writings from the insightful & unique blog, Psychopaths and Love. The essays will inspire healing, empowerment and self-discovery for survivors of psychopathic abuse. Codependents & Pathological Narcissists are enveloped in a seductive dreamlike state; however, it will later unfold into a painful “seesaw” of love, pain, hope and disappointment. Readers will learn why they, despite their dreams for true love, find themselves hopelessly & painfully in love with partners who hurt them. We all almost certainly know at least one or more sociopaths already. We are accustomed to think of sociopaths as violent criminals, but this book reveals that a shocking 4 percent of ordinary people—one in twenty-five—has an often undetected mental disorder, the chief symptom of which is that that person possesses no conscience. He or she has no ability whatsoever to feel shame, guilt, or remorse. Tips and advice as well as the most complete clinical background. Narcissistic Personality Disorder and its effects on the narcissist, the psychopath and their nearest and dearest in a variety of settings: the family, workplace, in Church, the community, law enforcement, and politics. This book will teach you how to Cope, Survive, and Protect Your Loved Ones! The author takes you on her personal journey of how she fell for a narcissist, tells you how it went bad, why it was so hard to break it off (even though she knew breaking it off was for her own good), how she finally did break up with him, and what "red flags" to look for if you are currently in a relationship with a suspected narcissist or how to AVOID finding another one. Don’t let the narcissist in your life bully and abuse you for a moment longer! This 3-book series will help you understand everything you need to know about narcissists, how to deal with them, and how to take control and empower yourself when dealing with narcs. The book draws on the authors' research and interviews with a variety of men and women who've been narcissized. Featuring compelling stories and scenarios, Narcissistic Lovers helps victims understand the pain brought on by their abusers, shows why these self-loathers can't change, and offer hope for healing from their "N-fliction." When your guy is a narcissist, it has nothing to do with you. That’s because it’s all about him. This engaging collection of personal anecdotes, combined with current scientific research, examines the typical traits of pathological narcissism. Prevent the heartache that comes from falling in love with a narcissist before you or someone you care about gets hurt. 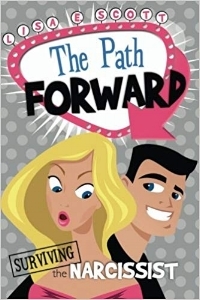 The Path Forward also provides a way to move forward and break free from the chains of such a toxic relationship. The Six Steps on The Path Forward provide you with a pathway to freedom and the support you need to finally get real, wake up and heal! Divorce is difficult under the best of circumstances. When your spouse has BPD or NPD, or is manipulative, divorcing can be especially complicated. 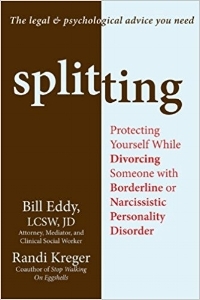 Splitting is your legal and psychological guide to safely navigating a high-conflict divorce from an unpredictable spouse. AUTHOR: Jeffrey E. Young, Ph.D. & Janet S. Klosko, Ph.D. This book guides readers through the process of identifying "life traps." 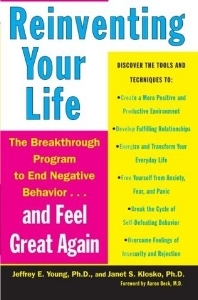 Followed by an engaging discussion that makes use of case studies, this book can help people change their lives by stopping the cycle of self-destruction. Could you or someone you know be married to a sociopath? The author of this book was, but it took her twenty years to figure it out. She wrote this book to make sure the same thing doesn’t happen to other people. The author tells her story of the narcissistic warfare waged by her one-time fiance, she finds that leaving once and for all is the only solution to keeping her sanity and self-dignity. Her main lesson for you, the reader, is about recovery. 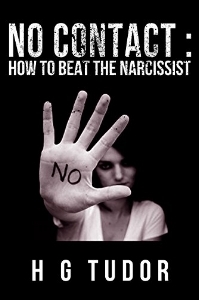 This is the definitive guide to implement and more importantly maintaining No Contact in order to beat the narcissist. The content of this publication addresses why No Contact is so hard to execute, what steps you must take to implement and maintain it, including how and when.